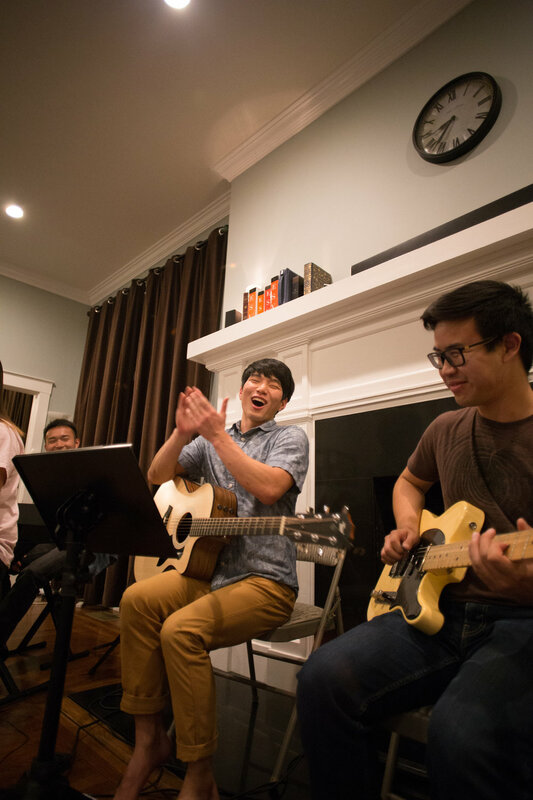 We spent the past two Friday nights out in San Francisco and watching a hilarious and meaningful TFN put on by the seniors, but this week, we shifted gears by gathering for a cozy night in of praise at Koin House. Thai curry with eggplant and chicken with fresh basil warmed up the room and we got to share a nice meal together after a long week of the first round of midterms. The stress of school is really starting to become overwhelming, so getting to talk to each other and sing together was a great way for us to be reminded that heaven is our home, not earth. 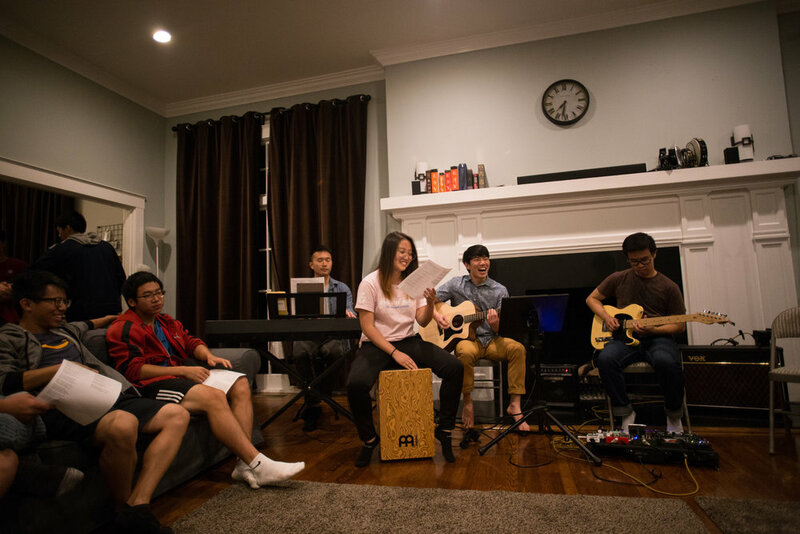 With Josh on acoustic guitar, Daniel on electric, Godwin on the keys, and Sophia on cajon, we got together in a big circle of couches to sing some songs and even learn about how some of the songs helped our staff through their times of trouble. We got to share our favorite lyrics with each other and talk about how God’s love is shown through songs like Amazing Grace. Though Amazing Grace is a song that everyone knows (Even I knew it before I started coming out to church) when we really sat down and thought about the verses, we were reminded of how God’s love is truly Amazing Grace. Josh and Daniel somehow managed to turn what is usually a slow song into a jam-time version of Amazing Grace and we were all blown away. I personally have never seen someone rock out to Amazing Grace! As If the night couldn’t get sweeter, mochi cake came out of the oven! Chewy, warm, and soft, we all laughed together and ate yummy cake (Well, almost all of us… the ones not on the sweet fast!)... and then it got sweeter! Jon called Kat and we all got to see baby Clay. Babies are the best and we’re so happy to finally have a class baby. After lifting all the couches and a couple of Nerf darts being shot around, we drove down to the RSF for a night of throwing yoga balls at each other and running around in circles one after the other. Sounds like lots of fun, right? That is, until we didn’t have any girls to run around the RSF for the last game and Jennifer was volunteered as tribute. We got to bond a lot as a class competing against the other classes and ended the night tied with the rest of Klesis. That’s enough of a win for us.